SANTA FE – Anglers can fish for free in New Mexico on Saturday, June 2, as the state celebrates National Boating and Fishing Week. Anyone can fish for free in public fishing waters throughout the state Saturday, June 2, but everyone must observe bag limits and all other rules and regulations. 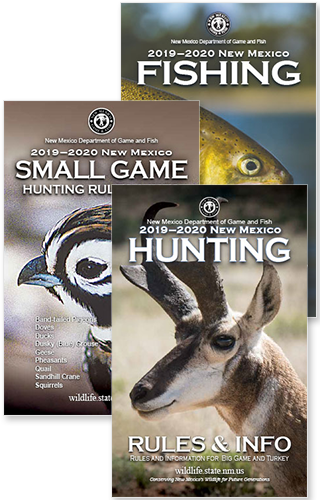 For more information, please visit www.wildlife.state.nm.us. Monastery Lake in Pecos Canyon – The 2nd Annual Fishing Expo at Monastery Lake in will be taking place on June 2 from 8 a.m. to 3 p.m. This family friendly, alcohol-free, fishing derby will have lots of booths, exhibits and over $1,000 in prizes for kids who catch tagged fish. This Expo will have a food truck, free fly-casting lessons from Truchas Chapter of Trout Unlimited, aquatic bugs under microscopes to view, DJ services by Sider Esquibel, wildlife hides and skull table, spin-casting games for the kids and live birds of prey in the afternoon presented by the Santa Fe Raptor Center. Grindstone Reservoir in Ruidoso – Hosted by the Forest Service, kids and adults can learn to fish, ride in a kayak and visit with area department conservation officers. Lake Roberts in the Gila National Forest – The National Forest will host the seventh annual Aldo Leopold Kid’s Fishing Derby on Saturday, June 2. The lake will be stocked with native Gila trout including some record breaking ones. Volunteers will provide fishing lessons and loan equipment to children. Prizes will be awarded for top catches. The event is free to the public. Before heading out, anglers are encouraged to check current fire restrictions online at nmfireinfo.com. For information about where to fish and what to use, consult the department’s weekly fishing and stocking report. Maps of public fishing waters, lists of where to find family-friendly fishing and tips on how to fish also can be found on the department website.